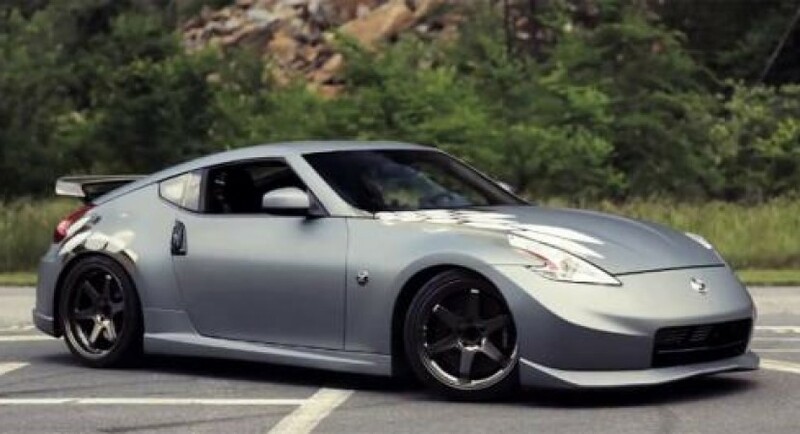 Nissan officially unveiled the Project 370Z, a one-off sports car based on the well-known 370Z Coupe. The first stage of the tuning process includes a power boost for the 3.7-liter V6 engine. Thanks to a Greddy turbocharger, Greddy Ti-C catback exhaust and new KW coilover suspension, the Japanese model develops around 500 horses, well over the standard 332 ponies. The stage two comes with a new steering wheel and gear shifter. Styling tweaks include new 19-inch alloy wheels, a matte grey foil finish, Recaro sport seats and new gauges. The Japanese company claims that the one-off Project 370Z was possible also thanks to their Facebook fans as the project is made in collaboration with the people following their page. Nissan released a couple of videos showing us how they gave birth to the Nissan Project 370Z, including the first two stages we talked about above.